An amazing conference last Friday. Can Google crack the code on Social Networks? I doubt it. Facebook is secretly building a phone OS. 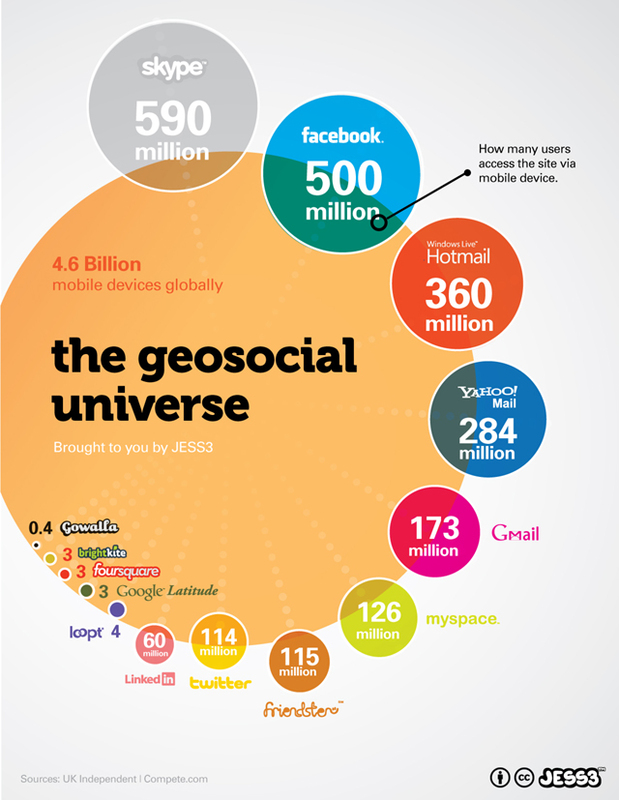 Check out Jesse Thomas graphic on the “GeoSocial Universe” — “The graphic pits our social network usage against the huge adoption of mobile phones — currently at 4.6 billion worldwide.” …granted how many of those mobile phones have internet access?